Dr. Xie Shu visits Toronto in March, 2015. She visits Ms. Ko* and Mrs. Smith’s* classes to learn more about the teachers that are working with her teachers in Changchun, China. 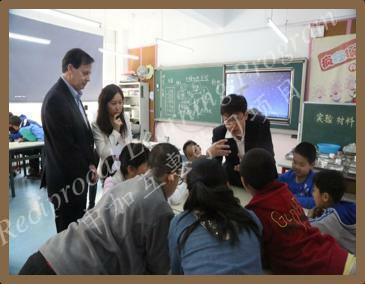 While at the schools she observes math lessons and talks to the students about their Chinese sister classes. In May 2015, Dr. Doug McDougall and Cynthia Sijia Zhu travel to Changchun, China and visit the elementary school affiliated with North East Normal University. 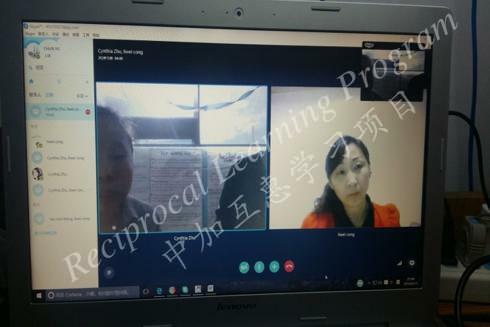 During this visit they gathered video data for reciprocal lesson study between teacher partners and learned about the elementary school system in China. While visiting Changchun, China, Dr. Doug McDougall and Cynthia Sijia Zhu met with fellow Math Team member, Professor Ma Yunpeng to discuss plans for their research partnership. Dr. Yunpeng Ma presents his team’s research during a paper session at the 3rd Annual Reciprocal Learning conference at Southwest University. During the 3rd Annual Reciprocal Learning Conference at Southwest University in Chongqing, China, the members of the Math Education Research Team sat as part of a panel to discuss the research in the Reciprocal Learning Project. Dr. Bo Yu, Dr. Aihui Peng, Dr. Yunpeng Ma and Dr. Anthony Ezeife spoke about the ongoing research, future plans and the impact that reciprocal learning can have on mathematics education. 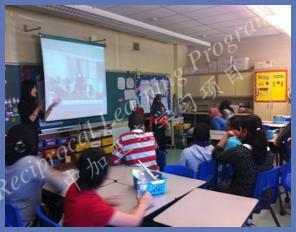 Ms. Ko’s class is watching a video of Mrs. Sun’s class during a math lesson. The students were very curious about their Chinese friends. 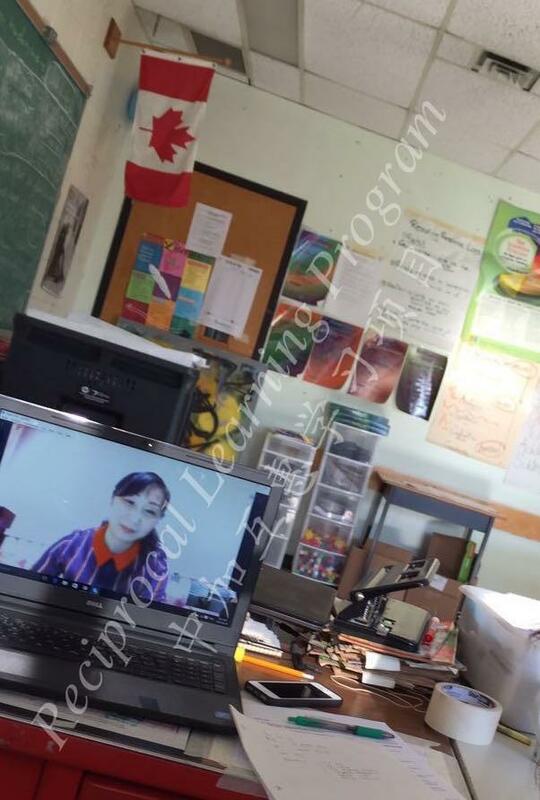 At this time a Chinese researcher from NENU was visiting in Toronto and was able to answer a lot of the student’s questions about school life in China. This stuffed animal is called Friendship. 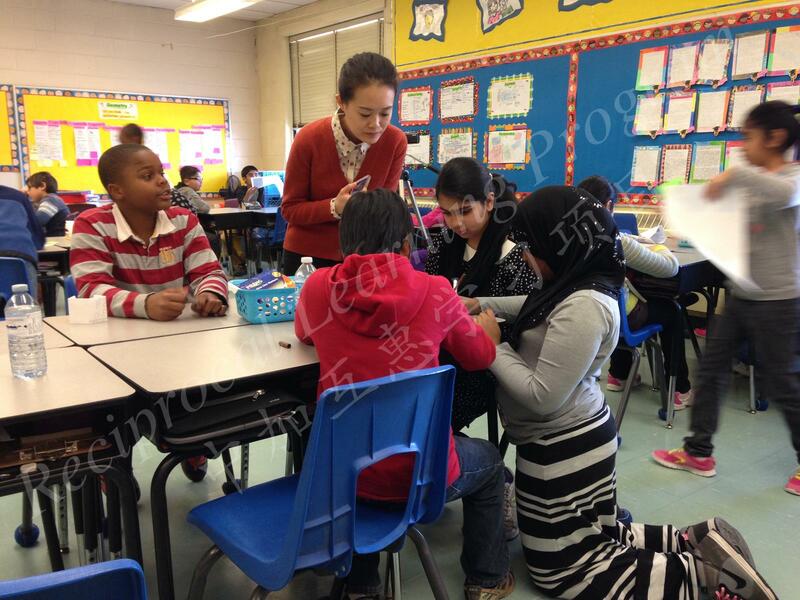 He has traveled from Changchun, China to play with Ms. Ko’s students in Toronto, Canada. On the left, Friendship is sitting in the teacher’s chair, all tucked in since it is very cold in Toronto in the winter. On the right he is participating in Christmas activities with Ms. Ko’s class. 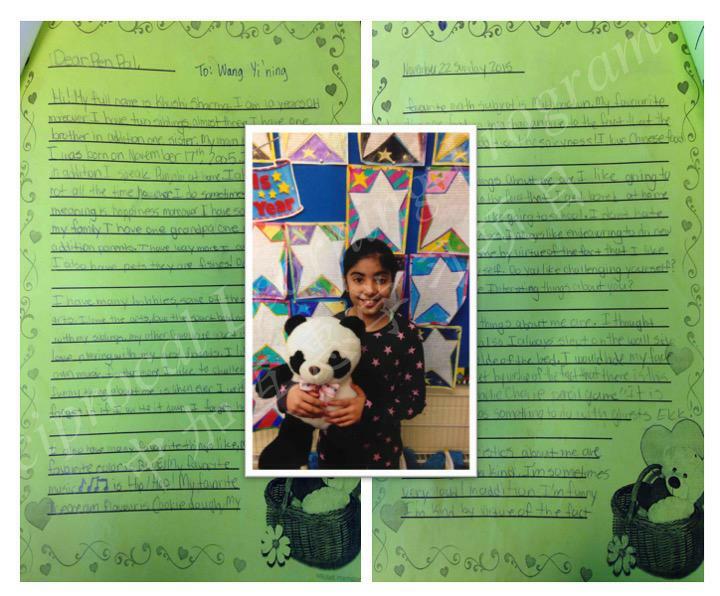 Mrs. Sun’s class and Ms. Ko’s class has been exchanging letters for two years. The students share about their hobbies, families, likes and dislikes. 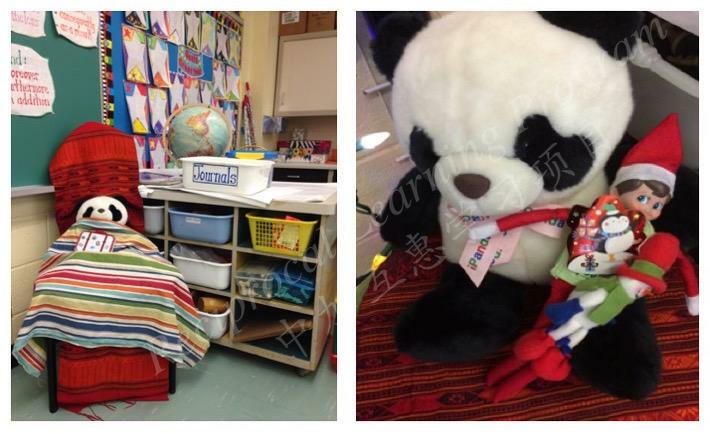 In this picture a student is holding Friendship, a panda stuffed animal that Mrs. Sun’s class gave Ms. Ko’s students in 2015. During one of the letter exchanges between Mrs. Sun’s class and Ms. Ko’s class, Mrs. Sun’s class shared some of the activities that they did in math class. 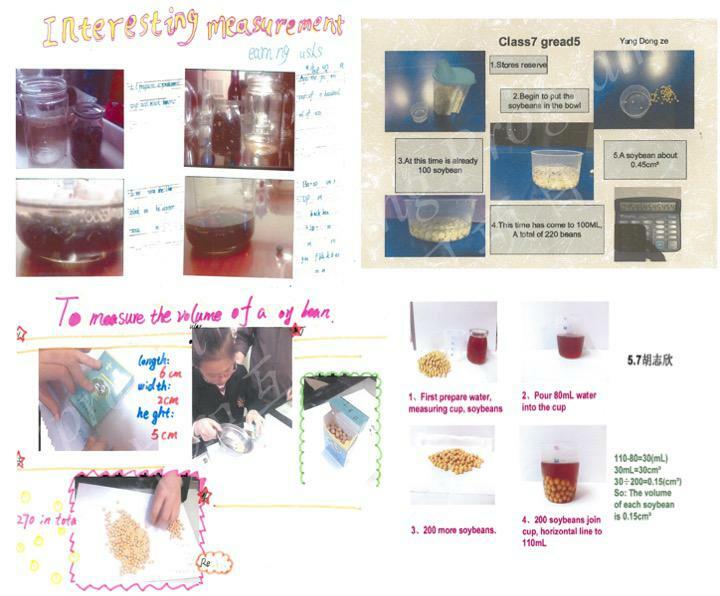 The activity focused in measuring the volume of an object using the displacement of water. 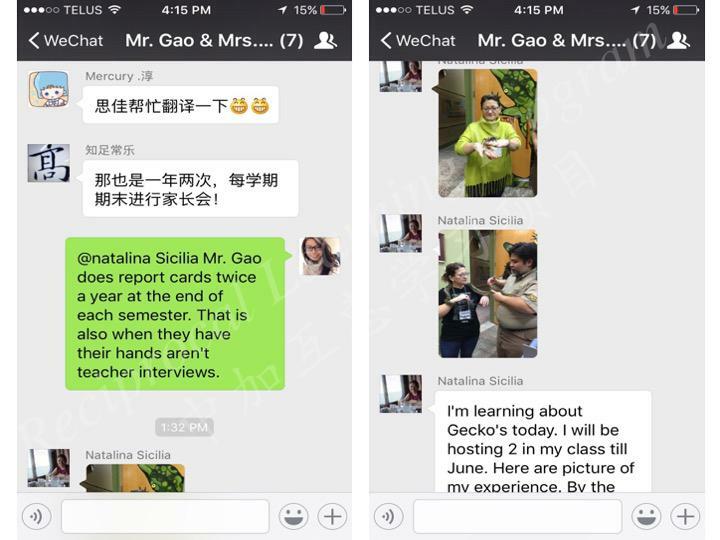 Mr. Gao’s class has been exchanging letters with Mrs. Smith’s class for two years now. Mrs. Smith displays these letters on a bulletin board in the hallway of her school. 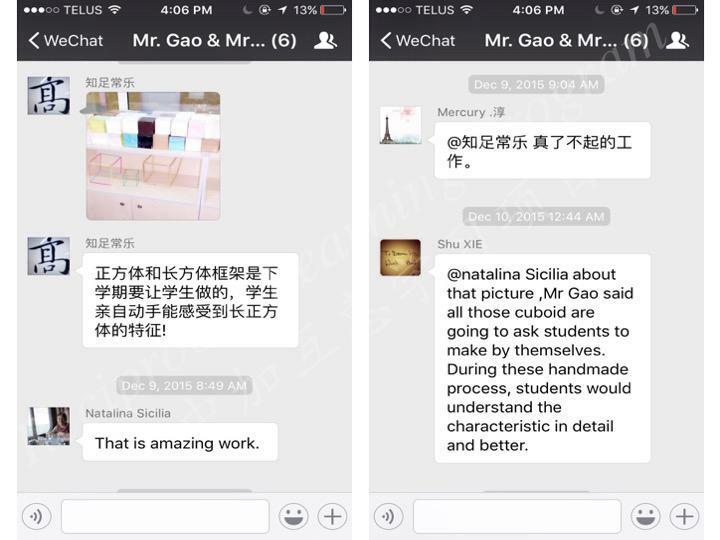 She says that she often has students and teacher comment to her about the amazing letters from Chinese students. 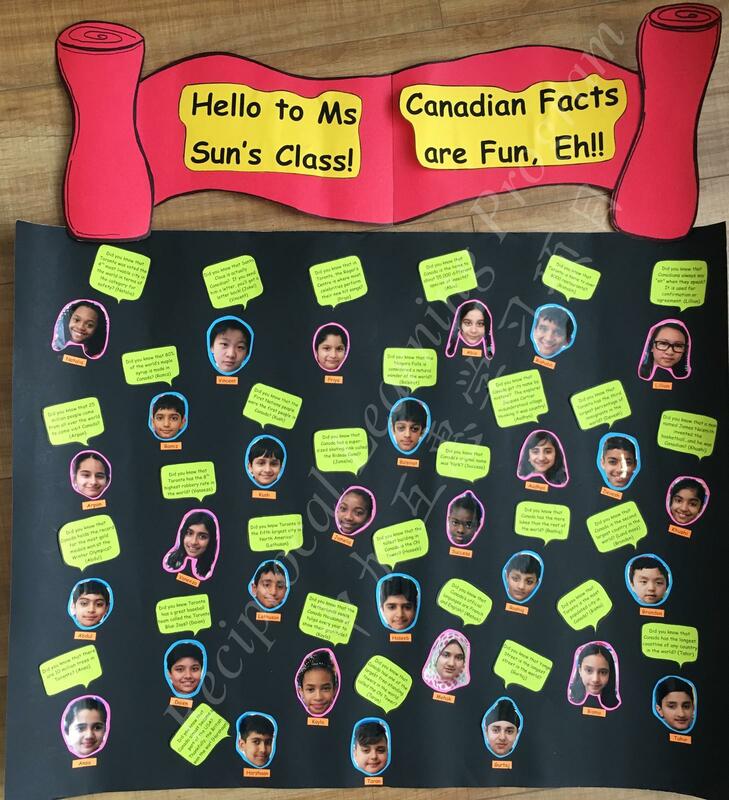 In April 2016, Ms. Ko’s class created a poster for Mrs. Sun’s class that included fun facts about Toronto and Canada. Many of the students from Toronto shared math facts in response to letters from Mrs. Sun’s students. Morning skype meeting between Mr. Bennett and Mrs. Cong to discuss their geotricity project. They are collaborating on a project that involves their students working together to design a dream school yard for each other. Using data management, geometry and literacy skills the students worked together to learn from each other. 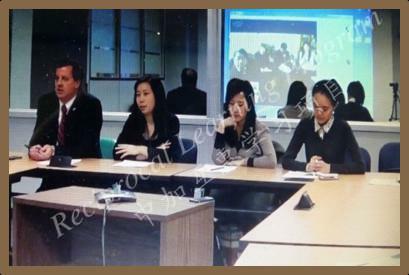 First skype video conference between Mrs. Ko, Mrs. Sun, Mr. Gao and the professors and researchers at North East Normal University and University of Toronto. 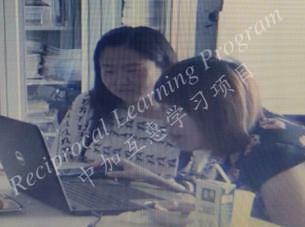 The teachers were introduced to each other and started their relationship as reciprocal learning partners. Mrs. Sun and graduate student Yu Chun are Skyping with Ms. Ko. These two teachers opted to live message each other in lieu of video conferencing. A couple times a semester, these two teachers discuss topics ranging from teaching fractions to professional development. 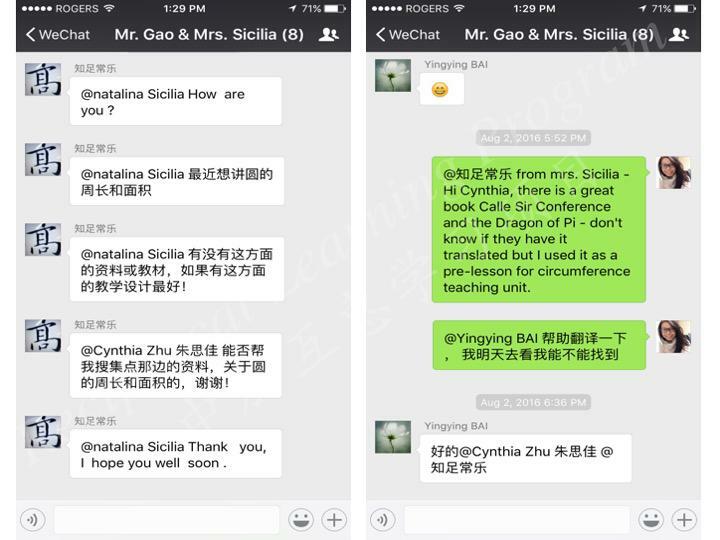 Reciprocal learning partners Mrs. Smith and Mr. Gao communicate with each other using Wechat. They share pictures of mathematics activities that they have done with their classes and ask each other for resources as well as advice. 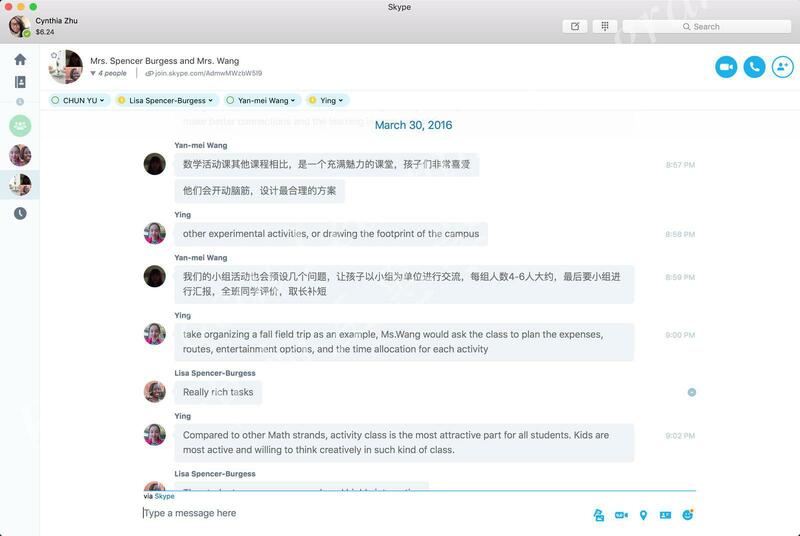 Researchers help translate communications between the teachers.